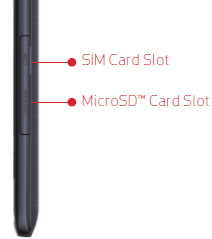 With the screen facing upward, open the SIM cover (located on the lower-right edge). Utilize the provided notch to lift open cover. 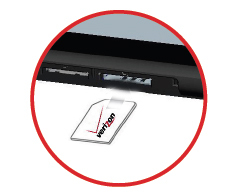 Gently press in on the edge of the SIM card to unlatch the card then remove the SIM card.